Oh, boy, what a great tech year 2018 is shaping up to be. Despite the fact that only a third of the year has passed, big companies have already given us so much to be happy about. We saw Samsung's variable aperture wonders, the Galaxy S9 and the S9+, and Huawei's triple-camera beasts – the P20 Pro and the Mate RS Porsche, the latter of which might not make it into the US but have set a high standard when it comes to cameras. Apple has also shown us some of its intentions at its "Let's take a field trip" event, where it announced the 2018-edition of the 9.7" iPad. And the rest of the smartphone manufacturers seem to be in love with display notches. Still something. And since it's May already, another company-centered event is coming really, really soon. We're talking about Google I/O – the company's annual developer conference, which will be taking place from May 8 – 10 at the Shoreline Amphitheatre at San Francisco, California. Ever since its inception in 2008, Google I/O has been the place for Google software-related announcements. Yes, there have been hardware announcements, too, but not as much. 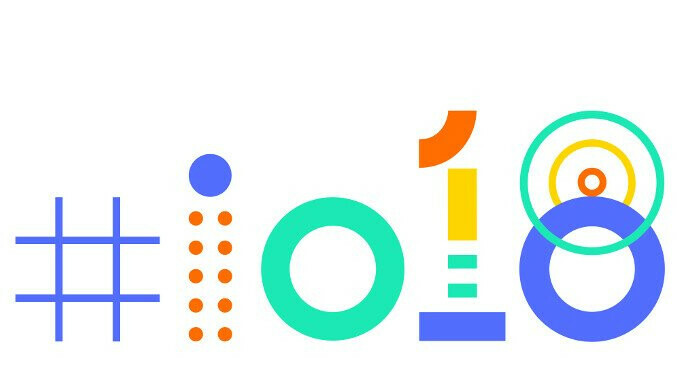 So, should you be excited for Google I/O? Of course you should, as this year's event looks like it's going to be a great one. To raise your excitement even further, we decided to give you an insight into what you can expect from Google I/O 2018. Google's dearest creation, Android, has been involved in every I/O event ever since 2008. We believe this tradition will continue this year too and we could see the official announcement of the next Android version – Android P.
Thanks to a developer preview released by Google not so long ago we can have an idea of what to expect from Android 9.0 P. Unlike previous versions, which brought in some major UI overhauls, Android 9.0 P will bring many not-so-noticeable, but equally as important, changes. First things first, Android 9.0 P will tackle our privacy concerns by blocking the access to the camera and microphone of background apps, unless you strictly allow it. This is a much-needed change, as background apps can record audio and video without you even noticing, essentially spying on you. Another privacy-related change is that Android P will play an audio cue whenever your call is being recorded, which is a huge deal. Android P will also 'embrace the notch' and other interesting design choices by adding support for display notches and, possibly, one for 'other design choices', like foldable displays, different aspect ratios, and so on. Hopefully, we could get a second developer preview and an official announcement of Android P at Google I/O. However, that's the most we can expect, as Android P is still in the making, and, according to Google's track records, it probably won't be released anytime before August. Google launched its Android Wear smartwatch OS back in 2014. Android Wear had the same open source code as Android and was quickly embraced by wearable manufacturers. Earlier this year, however, Google decided to rename Android Wear to Wear OS to better reflect its vision and ideas. And that's great, as it most likely means we could see the first Wear OS update at I/O. What's more, Google has released a developer preview of the first update for the new-old Wear OS. It brings in some of the features Android P will have, on smartwatches, such as the dark theme for the notification menu and the system launcher. Also, apps may no longer run in the background, unless your smartwatch is charging, to save battery life. It will also be fitting to introduce Android P and Wear OS at the same event, considering the shared design cues they're expected to have. Actually, Google has already revealed some of the plans it has for its Assistant. The company will expand Google Assistant worldwide, increasing the supported languages to over 30, including Norwegian, Thai, Dutch, and many, many more. There's also multilingual support in the works, which allows you to speak in either French, German, or English to the Assistant and it would still understand you. Well-fitting changes, as Google has always been catering its software to be accessible to everyone. All of this means Google probably will announce a couple of new languages for the Assistant. There's more though. Google hinted at giving wireless operators the option to work with the Assistant to give you quicker access to customer support and other features, so we might get an update on that, too. The company is also seeking to have better integration into more phones, allowing for device-specific commands. Not so long ago, we found out that Google was working on a feature called 'Routines'. Similar to the one found in rival Amazon's Echo, 'Routines' will allow you to use your Google Home and Google Assistant to create a sequence of actions, which you'll trigger using a certain phrase. For example, saying 'Hey Google, Good morning' could turn on the lights, set the thermostat to a certain degree, and turn on the radio. However, Google is yet to officially release Routines, making it a contender for taking a spot at I/O. We also hope Google gives us the option to control more Internet-of-Things devices via the Google Home to further enhance our smart home experience. Google released its Daydream View VR headset back in 2016. Sold for only $99, it also used your phone as a screen, making it a perfect option for those who wanted to enjoy VR without investing too much (VR headsets tend to be quite expensive). Last October Google released the second-gen Daydream View, which means we might not see the third-gen Daydream View, at least not for now. There might be another thing in the works, however, as rumors have it that Google has acquired employees, and more importantly, patents, from Lytro – the light-field camera maker, which was shut down a little more than a week ago. Light-field cameras capture information about the light of a scene – a technology, which can be used in VR to achieve much greater results. It's likely that we see Google use such tech in its VR endeavors, but there might be some time before Google announces anything light-field related. As far as augmented reality goes, we have no expectations there, which means we will all get excited if something appears out of the blue. Released back in 2011 for notebooks, the lightweight Chrome OS has recently made its debut on tablets. The education-oriented Acer Chromebook Tab 10 is the first one to come with the lightweight operating system, which has made us think there could be more Chrome OS tablets introduced at Google I/O. Nope. Google Pixel and Google Pixel XL were announced on October 4, 2016, and their successors – Pixel 2 and Pixel 2 XL – a year later, on October 4, 2017, which means we're at least four months away from the announcement of the third-gen Pixel(s). And this pretty much wraps it up. Of course, there are there are many other Google products and services out there, and we could get an announcement for something we didn't mention here, or even get an entirely new product, but we tried to only cover the essential stuff. We'll keep this article updated as we get news about the event, so stay tuned to find out even more about Google's upcoming I/O event. We need new Wear OS smartwatches that are stainless steel, HR & thinner that the 2017 models. Also Google Google Fit is useless for health, we need a Health app for Wear OS to monitor constant Heart Rate & Sleep patterns. There is a number of new Android Wear or Wear OS smart watches. You are not looking, or don't know. Because there is Mont Blanc, Movado, Fossil, Tag Heuer, Casio, Polar, Nixon, Hugo Boss, Kate Spade, Michael Kors, Tommy Hilfiger, Skagen, Louis Vuitton, Misfit, LG, Huawei, and many more make Android Wear/Wear OS smart watches. That not only include Google Fit, but others add their own fitness apps as well. Not to mention there is a number of different fitness trackers and sleep tracking apps on the Play store. Clearly you never used or even looked at any Android Wear watch before. Really, we need an updated processor. Also, new watches should come with NFC. The HR thing is nice, but I get readings all over the place while I'm working out unless I'm just jogging. Hopefully Google releases a OP processor for wearables so Wear OS will have better performance and more battery life. Hoping they make a pixel watch and looking forward to hearing surprise announcements. I really want Google Messages to be more like iMessage. Soon as the functionality is there I'll be happy as hell. What about Doze mode improvements in android P?i want more improvements in it to squeeze more battery life out of our phones even after progress in android Marshmellow,Nougat,Oreo.If there is no such thing this time in android p or newest Android version i be disappointed. Hope there is any new interesting news on Fushia OS this time and about midrange pixel debut in india. What to expect? Nothing major or revolutionary, that's for sure. Do you do time travel or what?